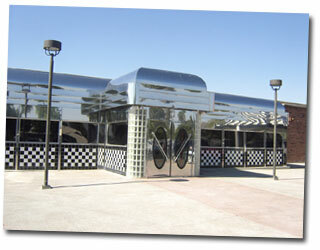 Dinermite Diners offers South Carolina Stainless Steel Diners and Restaurants for Sale. Dinermite Diners has been serving the State of South Carolina for over 50 years now with our famous stainless steel 1950s diners. We sell and manufacture the Classic Diners in the United States and Internationally. Please view the different models and features of our South Carolina diners and restaurants for sale. 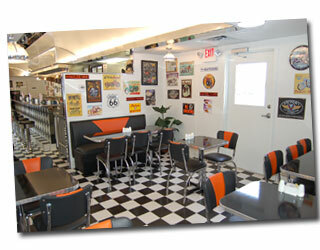 Our modular diner design allows time and cost savings with the ability to serve many diner customers. We manufacture and sell the Silver Star Diner, Silver Eagle Diner, Silver Eagle Star Diner, Silver Eagle Junior Diner, Dinermite Classic Diner, Classic 120 seat Diner, Classic 140 seat Diner, Classic 160 seat Diner, and any custom South Carolina diner or restaurant required by the client. Dinermite Diner Sales in these South Carolina cities.